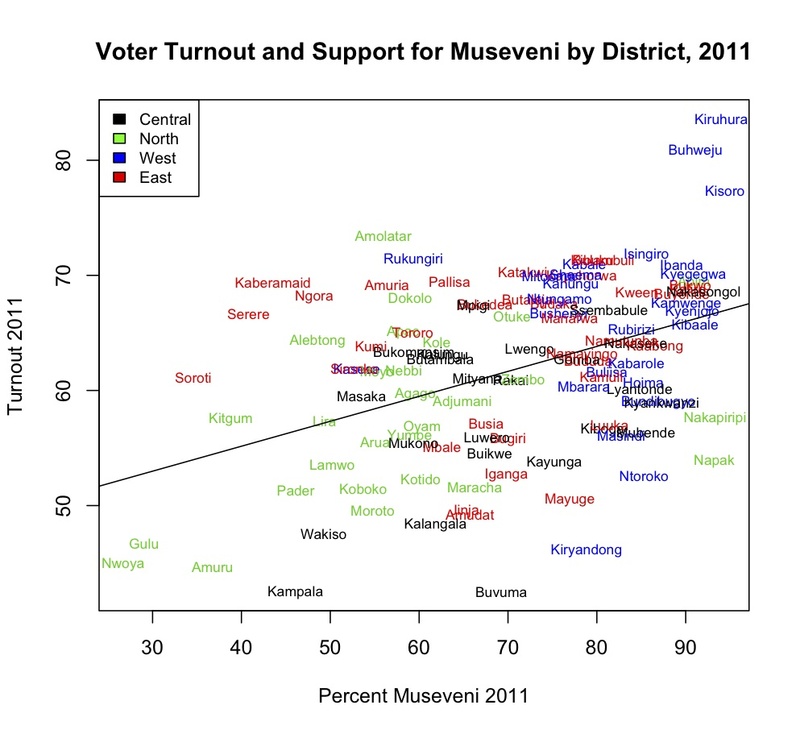 I’ve been looking at the 2011 Ugandan presidential election data on voter turnout and support for Museveni by district. The trends mirror those in the 2001 and 2006, which I reported on in the Independent, and which Elliot Green also examined in his post-election blog post. 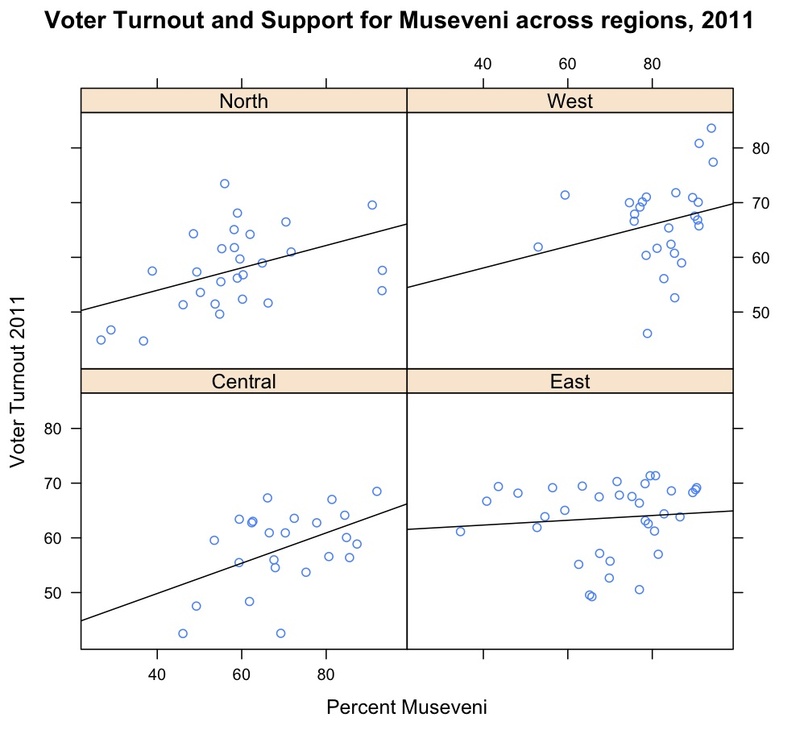 Voter turnout appears to be higher in districts that have greater support for Museveni. This relationship appears robust across the past three elections and even within regions. The question, of course, is what explains this trend? Is it that NRM is better at getting out the vote in it’s strongholds? There is more rigging going on in NRM strongholds? Opposition is apathetic and feels their vote won’t matter, so they stay home on polling day? Other ideas? I’m currently brainstorming ways to test these explanations, which are not mutually exclusive. Any and all ideas welcome.